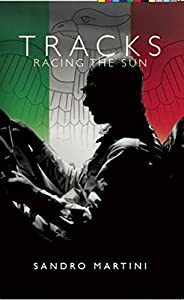 In this epic novel about the motor-racing heroes of Fascist Italy and Nazi Germany, legendary characters battle to win incredible races on switchback roads along the edges of ravines. Exploring the relationships between the champions as much as the sporting events themselves, this is a thrilling tale based on the true rivalries, triumphs and disasters during a fascinating period in European sporting history. Sandro Martini is a seasoned journalist who has worked in Italy and the USA. He has spent years researching the facts and creating a story which tells us much about men, their addiction to speed and the love of the machine at a particular time in history. Dean "DeBaz" Bazner is a Professional Surfer, private about his past and quiet about his future. Like any famous professional athlete he's got the talent and sponsors, but he hasn't clinched a World Title since his rookie year. Now in his thirties, with a career clock ticking, he's pushing his limits to get to number one again. When a travel writer named Azure Thomas is assigned to observe his journey between events, what seems like a dangerous diversion, both in and out of the water, forces him to accept that there's more missing from his life than another trophy. She doesn't know anything about surfing. She doesn't drool over his celebrity. And she sure as hell doesn't ask others to haul her crap around. Azure Thomas has been taking care of herself for most of her thirty years, and this is just another assignment in the changing world of freelance journalism. What she doesn't expect is an athlete who relates to her profound loss and has sacrificed everything except his soul to get to the top of his sport. Dean is more than the hot surfer splashed across magazines and surfing is more than a hobby. Is it possible that what she can't live without is chasing the next big swell? 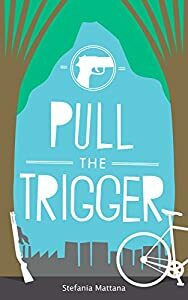 In the blink of an eye, the idyllic world that Claudine Bellamy knew, brutally turns upside down. While her family struggles with tragedy and permanent loss, their professional wrestling business is publicly exposed. Acutely vulnerable, is Claudine resilient enough to resist being exploited by corrupt vultures of the celebrity world and protect her precious family? 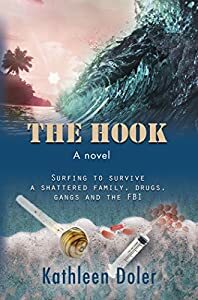 THE HOOK: After three years away, Dana, a globe-trotting journalist, reluctantly returns to her foggy coastal hometown, Half Moon Bay. She’s been running away all of her adult life, from the mental illness and chaos that defined her childhood. Now her junkie brother, a former surf star, is tangled up with a brutal meth dealer and he’s in the hospital. Dana and Shane bonded over surfing as teenagers, frequenting local breaks, including THE HOOK, to escape their violent and damaged family. Dana’s father and brother walked away from Shane years ago, unwilling to deal with his volatility and drug use. But she just won’t give up on him. 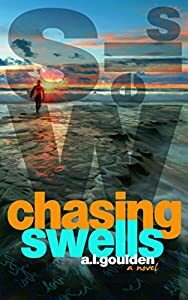 As Dana turns to her friends and the tight-knit surfing community for help she confronts her brother’s illegal activities and nearly homeless existence. But that’s just the beginning … a drug kingpin is chasing Shane and then Dana, the FBI are involved, a gang war is building, and a new family crisis is brewing. Meanwhile Dana’s gut-wrenching and frightening journey forces her to face her ruinous childhood, her inability to sustain relationships and her struggle to move on with her life. Strong, agile, and disciplined, Tatsuyama has everything it takes to be a legendary sumo wrestler. In fact, he is the only remaining Japanese "yokozuna," sharing the highest possible ranking in his own country's national sport with two foreign wrestlers. Despite his celebrity status, he is known as quite the humble hero, winning over plenty of fans with his affable personality and down-to-earth charm. But everything is about to change for the sumo champion. At a promotional concert featuring a popular, all-girl band, a belligerent drunk won't leave one of the performers alone. When security and police fail to address the problem, Tatsuyama decides to step in and take care of business himself. The creep from the concert presses charges for assault, setting off a chain of events that threatens not only the yokozuna's career, but also the very lives of the people closest to him. It soon becomes evident that certain high-ranking individuals--including an audacious crime boss--are determined to exact control over the world of sumo, and they will stop at nothing to drag Tatsuyama out of the ring. 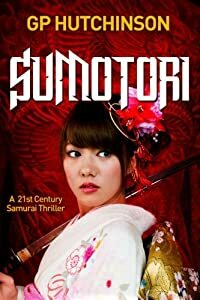 SUMOTORI is a high-action cross-cultural adventure that explores many aspects of life in Japan, from the traditional topknots and kimonos worn by the "last of the samurai" to the trendy street culture of Tokyo. A page-turner from start to finish, you'll find yourself rooting for the instantly likable Tatsuyama the entire way--but can he stop Yamada and the corruption that is threatening to end him before it is too late? Cycling's for brave people only in Tursenia. Murder is around the next bend. What do cycling and target shooting have in common? Why is someone picking off young Olympic hopefuls? Two cyclists in the Junior Italian National Team have been inexplicably shot. A month later Junior Target Shooting National Team member is killed by a high-precision shot to his forehead. A very complicated crime story is waiting for Chase Williams and Inspector Angelo Alunni. Angelo and Chase are helped by a ballistics expert from Rome, Gianmarco Betti. A series of discoveries, lies and unspoken truths gradually whittle away at the shortlist of suspects until we reach the thrilling conclusion. This is a truly perfect murder mystery. Perhaps. Chase faces the case with his usual inquisitive attitude as well as his brilliant attention to detail. 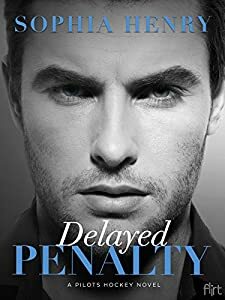 He also has to deal with his previous life in London as a junior Scotland Yard detective, where he caused an incident he can’t forgive himself for or ever forget. Who’s going to pull the trigger? Claudine Bellamy grew up in a strong family of wrestlers and married a champion fighter. She feels protected and cared for and she likes it that way. When circumstances change, however, Claudine finds herself unprotected and alone. 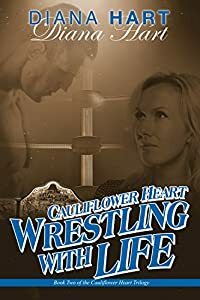 First in the Cauliflower Heart trilogy, A Romantic Wrestler, introduces Claudine Bellamy, who thinks she has the perfect life. She has a superstar wrestling husband, and her family enjoys all of the perks of celebrity. But when life grows bitter and Claudine's husband needs help, will she be strong enough to save him? 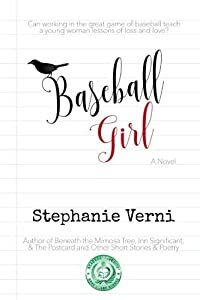 Francesca Milli’s father passes away when she’s a freshman in college and nineteen years old; she is devastated and copes with his death by securing a job working for the Bay City Blackbirds, a big-league team, as she attempts to carry on their traditions and mutual love for the game of baseball. 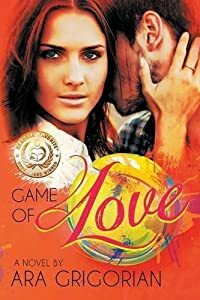 The residual effect of loving and losing her dad has made her cautious, until two men enter her life: a ballplayer and a sports writer. With the support of her mother and two friends, she begins to work through her grief. A dedicated employee, she successfully navigates her career, and becomes a director in the team’s organization. However, Francesca realizes that she can’t partition herself off from the world, and in time, understands that sometimes love does involve taking a risk.